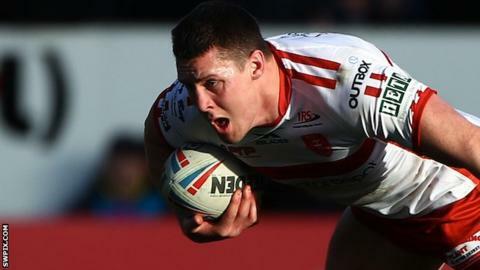 Hull KR skipper Joel Tomkins has been given more time to respond to charges of questioning an official's integrity. A hearing had been set for Tuesday after Tomkins was charged with the Grade D offence following his side's loss to Salford Red Devils. Hull KR have agreed he will not play before the Rugby Football League hearing, now set for next week. Any ban, which could be up to five matches, would include this Friday's match at Castleford. Tomkins protested over referee Liam Moore's decision to disallow a try. Rovers coach Tim Sheens said the call was a pivotal moment in the match.